After a period of apparent calm, we're back with a new feature that will give project managers some peace of mind. Sooner or later every project will have its costs – materials, travel, external consulting, and so on – which sometimes are logged outside of Apollo, or worse are not logged at all and completely forgotten. Actually, the spending review is one of the most important aspects of project management and it is good practice to keep tabs on it. Well, today Apollo has a new dedicated tool to help you: the Expenses section. Here you can log and track expenses made by all project users (but you can set limits for each user) and glance at the total from time to time. 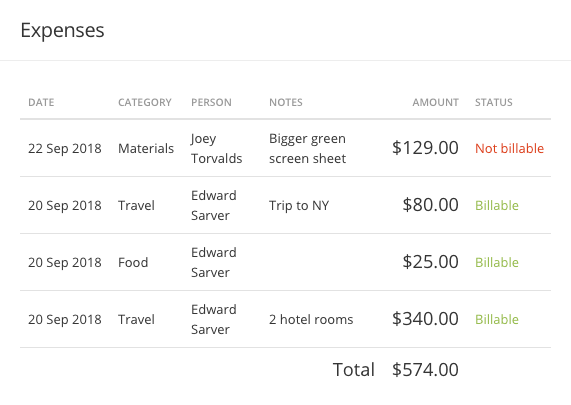 In addition to the amount and date, each expense can be logged with context, by selecting a category or adding any personal notes. It is also possible to upload its receipt and specify whether the expense needs to be billed or not. 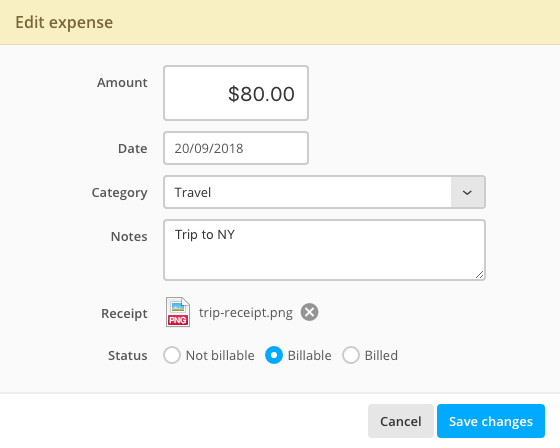 Expenses follows the same visibility rules of the Time section: you can enable users to log expenses, to track their expenses, expenses from their company or of all project users. The Expenses section makes the project menu even more crowded, which could be cumbersome to some of you. Luckily, that menu is customizable at will, and we suggest you keep active only the features you need for each project. Today's feature was the missing piece before we could introduce the ability to track a project's budget, which is coming very soon to Apollo, so stay tuned! Creating a project from a template now includes user roles. Gantt chart has a new "Hour" time scale, to better show a Task's start and end time. Contacts' CSV export now considers the "Owner" filter setting. Reassigning a Milestone wasn't showing the new responsible in Project activity. The "Roles" submenu in a project was visible even to people who weren't allowed to see it (tough clicking it just showed a permission error to them). Filtering project tasks was randomly moving keyboard focus the the first visible Subtask creation form. Task in templates created from projects had the start date relative to the project start date instead of the original task start date. Sometimes reloading Apollo after an update would need multiple page refreshes to work. That's no longer the case and it won't happen ever again KTHXBYE.